Scrappy, this is a deer. Scrappy, this is a deer. Now stop trying to eat their poop! 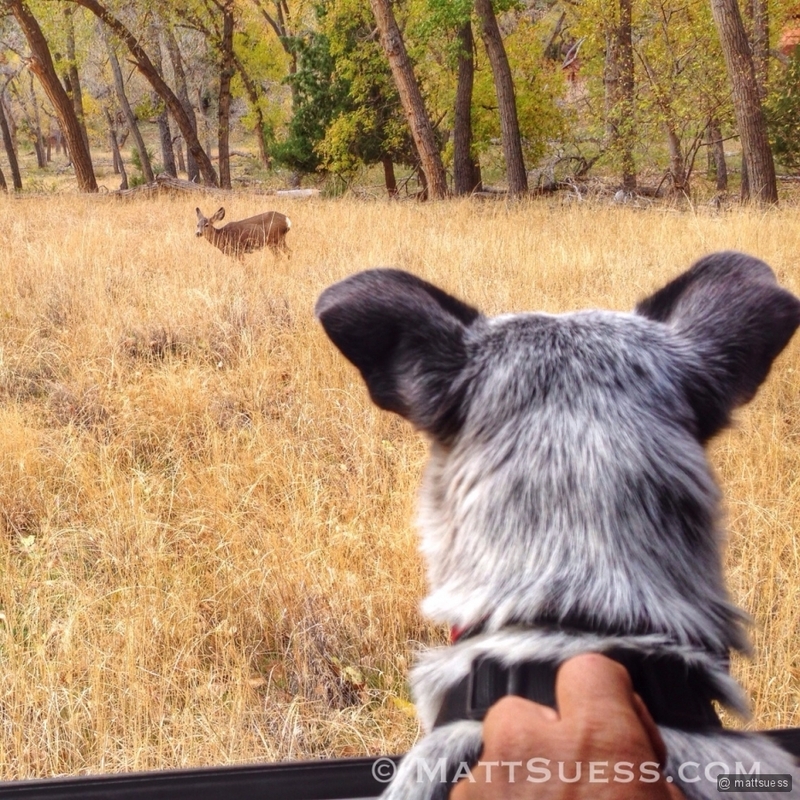 He got a chance to finally see deer up close in the daylight today. The other morning was his first encounter as he came within a few feet of one while doing his business in the dark at 5am. OMG the weird growling noise he made – not very loud and don’t think it was mean, but he sounded like a person talking – so funny and cute. I have to get some audio of that sometime soon. I see your holding on tight. Glad of it.